Written by Yūki Tabata, 'Black Clover' is a Japanese manga series which follows the story of orphans Asta and Yuno. 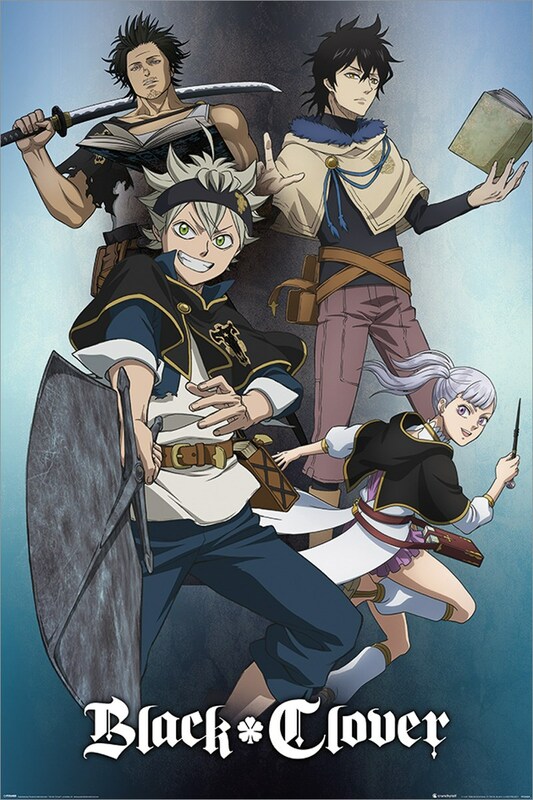 In a world where magical powers are normal, Asta must live without any, while Yuno fights his way to becoming the next Wizard King. An action packed series with twists, turns and plenty of high octane action. Official merch.